which allows you to navigate the page with out going to top of the page. when you scroll down the page it will keep following you till very end. which will only appear when you scroll down the page. if you scroll back to top it will get back to its original position. 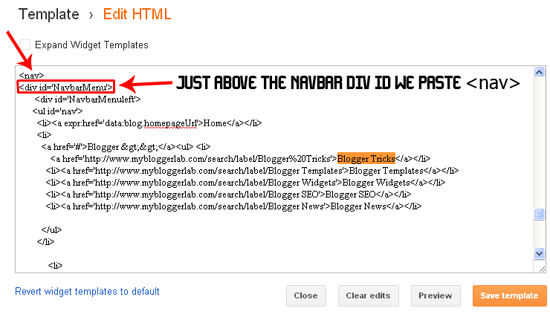 After the research work of 3 days and today's 5 hours of coding Finally I was able To Create MBL Scrollable Sticky Navigation Bar For Blogger.It basically works on jQuery when ever you scroll down it converts your current navigation bar into a scrolling bar and when you go back to top it comes back to its original position.So let us starting optimizing our blog for Scrollable Sticky Navigation Bar.it will just Transform your Old navigation Bar into a Scrollable Navigation Bar. Important:To Get the Preview Please Scroll the DEMO pages and you will be able to see the Scrollable Sticky Navigation Bar. 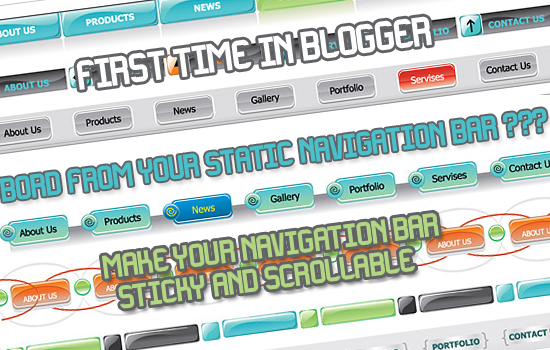 Now We need to insert Jquery as it is the only thing which is responsible to make your navigation bar Scrollable. 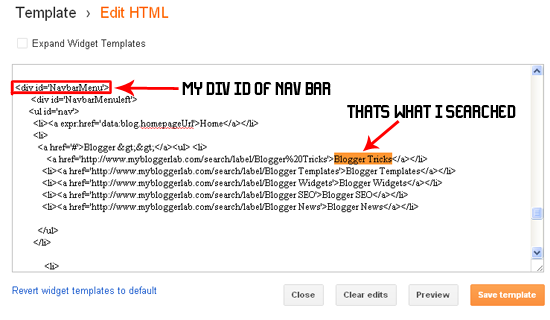 Now Search For your Navigation Category Name i.e Home or any other let us take example of MyBloggerlab.com in the navigation bar I have Blogger Tricks as my second main category so I will search Blogger Tricks in the template Remember:The category you are searching should be the first one or second one in your navigation bar. Hello! Thank you so much for posting this! 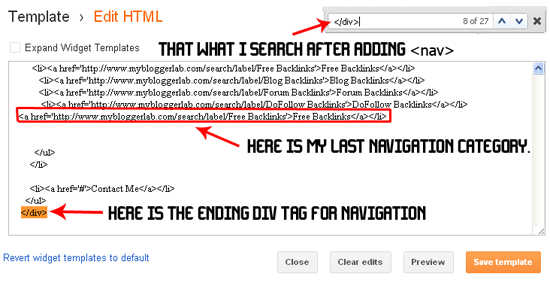 The tut is very easy to follow until I have to search for the nav bar. I can't find it..
Hi Just wondering how to work on this on wordpress? Hallo Syed. I want to make it in one of my blogger widget, like your "socialize it" widget. Can you help me? I was just trying to make my Navbar sticky and scrollable using this tutorial, but I had a problem! It turns out that when I scroll down, the navbar stays on top of the page, but under the posts... So you won't be able to see it at all at some points... How can I solve this problem?